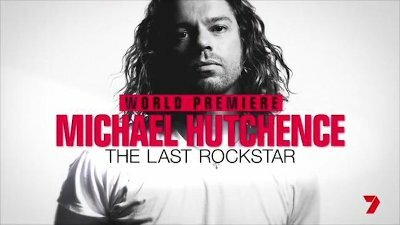 Michael Hutchence The Last Rockstar will premiere on Australian television to mark the 20th anniversary of the death of the INXS legend in November. The project was developed by Ron Creevey and produced by Seven’s Mark Llewelyn with the full cooperation of Tina Hutchence and the Hutchence estate. Tina supplied her personal home movies which will be broadcast for the very first time ever in this doco. Michael Hutchence The Last Rockstar is not an INXS documentary. The documentary is about Michael the person by the people who knew him up until the time of his death. From his family, Tina Hutchence, and from his friends Bono and Simon Le Bon, tell their story of the man they knew. This is not a telemovie played by actors like Never Tear Us Apart. The show has no involvement with anyone involved with INXS today. The Last Rockstar is about Michael the man. For the first time, his private diary will be opened for the camera to reveal his final thoughts in the days and weeks leading up to his death. 12 months ago this week Ron Creevey previewed a snippet of the unreleased Hutchence song "Kik It". It was just a small part of what lay inside the Michael Hutchence vault. At the time while he was working on the documentary he said, "We are not only taking what Michael did in the end but we are bringing it up to a standard for what is relevant for today. I would say ‘Kik It’ is one of the best songs I have heard in a very long time". The exact date for the premiere is yet to be announced. Michael Hutchence died on November 22, 1997.